Mark Zuckerberg has finally broken his silence on Peter Thiel. Facebook's CEO argues in a new Facebook post that it is precisely because his company cares about diversity that it won't cut ties with Thiel, Facebook's longest serving board member and a prominent supporter of Donald Trump. "I want to quickly address the questions and concerns about Peter Thiel as a board member and Trump supporter," Zuckerberg wrote in a post on the social network. "We can't create a culture that says it cares about diversity and then excludes almost half the country because they back a political candidate," Zuckerberg continued. "There are many reasons a person might support Trump that do not involve racism, sexism, xenophobia or accepting sexual assault." The post appears to have been shared just with Facebook employees rather than with the general public. A picture of the post was first shared to Hacker News. A spokesperson for Facebook (FB) confirmed the post's authenticity and said Zuckerberg's message stands on its own. The exact timing of Zuckerberg's post is unclear, but it comes amid a renewed uproar in Silicon Valley over Thiel's decision to donate $1.25 million to Trump's campaign. Tech execs and businesses with ties to Thiel have faced greater pressure to distance themselves from him given his support for a candidate who has made offensive and misogynistic comments about women. 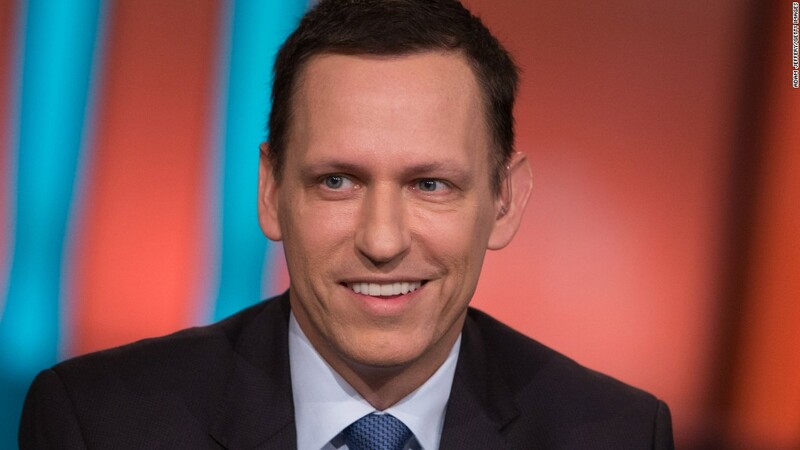 "Thiel's actions are in direct conflict with our values at Project Include," read a post from Ellen Pao, the former interim CEO of Reddit and cofounder of Project Include. "Giving more power to someone whose ascension and behavior strike fear into so many people is unacceptable." Chamath Palihapitiya, an influential venture capitalist and former Facebook exec, said he would "absolutely" kick someone off his board for donating the amount Thiel did to Trump when asked about it at Vanity Fair's New Establishment event on Thursday. Yet, those who work with Thiel have resisted that impulse. Sam Altman, the head of Y Combinator, a startup accelerator that counts Thiel as a part-time partner, said cutting ties with Thiel would run counter to the values of diversity and inclusion. "Diversity of opinion is painful but critical to the health of a democratic society. We can't start purging people for political support," tweeted Altman, who has previously compared Trump to Hitler. Thiel, an influential investor and PayPal cofounder, has proven to be an outlier in the tech industry. Even some of his closest peers like PayPal cofounder Reid Hoffman have been incredibly outspoken in bashing Trump. "Peter's argument obviously is that we need a radical change so throwing a grenade in the works is better than steady on," Hoffman said in an interview with CNN's Erin Burnett last month. In June, Facebook decided to keep Thiel on the board despite another controversy: Thiel's decision to secretly fund a legal campaign that resulted in Gawker Media going bankrupt. "I understand the concern [about Thiel]," Facebook COO Sheryl Sandberg said at the time, before adding: "Peter did what he did on his own." Thiel was an early backer of Facebook and became a close adviser to Zuckerberg on raising money, weighing acquisitions and taking risks. As Zuckerberg recalled in one recent interview with Altman, "Peter was the person who told me this really pithy quote: 'In a world that's changing so quickly, the biggest risk you can take is not taking any risk.' "